As our patient care coordinator, Jaylene loves being a part of a team that provides long-term pain relief to our patients as well as educates them on overall wellness. Jaylene attended Rhodes State College and Florida Metropolitan University to study massage. 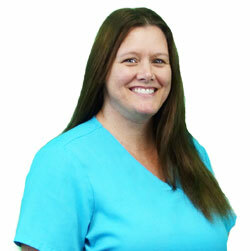 She has worked in patient care since 2007 and has been at Baywest Health & Rehab, LLC for over eight years. When she’s not at work, Jaylene enjoys spending time with her family, whether they’re staying at home playing or checking out new places to go.